Hudson Miramont Hardrock Canyon Sedona Springs 1825 Place Harris Branch Apartment Homes Sendera at Barton Creek 21 Rio Hawthorne at the District Settler's Creek 26 West Heritage Oaks Settler's Ridge 3500 Westlake Hidden Gardens Shadow Creek 404 Rio Grande High Oaks Shadow Oaks A Country Place Highlands Hill Country Sierra Vista Acacia Cliffs Hillside Creek Silver Springs Adagio Swenson Farms Hunter's Chase Silverado at Brushy Creek Alara at Canyon Creek Hunterwood Silvercreek Alara Cantebrea Crossing IMT Anderson Mill Skyview Village Alexan Vistas Apple Inc. IMT Monterey Ranch Soco Altea at Silverado IMT Wells Branch Somerset Townhomes Amli 300 International Residence Sonterra AMLI 5350 Iron Rock Ranch South Cliff AMLI at Lantana Hills Juniper Springs South Point Village AMLI Downtown Kensington Green Southwest Trails Amli on 2nd Keystone Spicewood Springs Anderson Oaks La Frontera Square Spring Valley Anderson Springs Lafayette Landing Stassney Woods Arboleda Lake State House on Congress Arbor Pointe Lakeline Apartments Steeplechase Arboretum Oaks Lakeline Villas Sterling Springs Arboretum Stonelake Lakeside at La Frontera Sterling Village Arbors of Wells Branch Lakeview Stonecreek Ranch Arium Tech Ridge Landmark at Auburn Manor Stoneleigh at Gracy Farms Arrowhead Park Landmark at Prescott Wood Stoney Ridge Ashton Landmark Barton Creek Summer Grove Aubry Hills Las Brisas Summerset Austin City Lights Laurel Ridge Sunchase Austin Midtown Laurel Woods Sundance Austin Parke Le Med Sweetwater Avanti Hills at the Galleria Le Montreaux Sycamore Springs Avendaro at Canyon Creek Legacy at Western Oaks Talavera Balcones Club Limestone Canyon Tanglewood North Balcones Woods Lincoln Oaks Terrace Cove Barclay Link Apartments Terracina Apartment Homes Barrington at Park Place Lodge At Lakeline Village Terrazzo Barton Creek Landing Lodge at Merriltown Texan Pearl Barton Hills Park Place Lodge at Stone Oak Ranch Texan Shoal Creek Barton's Mill Lodge at Warner Ranch Texan Tower Bell Lake Creek Logan's Mill Vandegrift High School Lakeline Mall Leander school district The Arbor at Tallwood Bell Tech Corridor Longbranch The Argosy at Crestview Bent Tree Longspur Crossing The Artisan Berkshire Soco Lotus Village The Arts Apartments at Turtle Creek Berkshire South Congress MacKenzie Pointe The Arts of South Austin Bluff Springs Townhomes Mansion at Stonehill stone hill Madison at Dell Ranch The Ballpark Blunn Creek Madison at Scofield Farms The Block on Leon-Pearl-28th-Rio Grande-25th Bowman's Walk Madison at Stone Creek The Boulevard at Town Lake Breakers on the Lake Madison at the Arboretum The Brook in Travis Heights Bridgehead Madison at Walnut Creek The Cottages Bristol Square Madison at Wells Branch The Crescent Broadstone Crossing Magnolia Court The Crossing Broadstone Grand Avenue Mandalay, Leander School district, McNeil High School, W. west Parmer Ln., E. East Parmer Lane, Lakeline Mall, The Element Broadstone Great Hills Mansions at Star Ranch The Estates/Terraces at Southpark Meadows Broadstone Travesia Marlborough Square The Fairways at Star Ranch Brookhollow Marquis at Barton Trail The Hamilton Brownstone Park Marquis at Brushy Creek The Hampton Bull Creek Townhomes Marquis at Canyon Ridge The Heights in Austin Burleson Place Apartments Marquis at Caprock Canyon The Heritage at Hillcrest Buttercup Creek Marquis at Center Ridge The Hills Camden Amber Oaks Marquis at Great Hills The Lakes at Renaissance Camden Brushy Creek Marquis at Ladera Vista The Links at Forest Creek Camden Cedar Hills Marquis at Tech Ridge The Lofts at The Triangle Camden Gaines Ranch Marquis at Treetops The Marquis at Round Rock Camden Huntingdon Marquis at Volente The McClintock at Bull Creek Camden Ridgecrest Marquis Shoreline The Meridian Camden Shadow Brooke Martha's Vineyard The Monarch Camden Stoneleigh McNeil Ranch The Oaks at Tech Ridge Cannon Place Melograno at Teravista The Orchard Canyon Creek Melrose Place The Palms at Walnut Creek Canyon Oaks Meritage at Steiner Ranch The Park at Walnut Creek Canyon Springs Mesa Verde The Park Monterey Oaks Capella Metropolis The Quarters on Campus Cascades Midtown Commons The Ranch Ceniza Condominiums Mission Grace Woods The Remington Centennial Place Mission James Place The Ridge Central Park I & II Mission Reilly Ridge The Ridge at Barton Creek Century Palm Valley Montelena The Social Champion's Crossing Monterone at Canyon Creek The Springs Garden Homes Chandler Creek Monterone at Round Rock The Triangle Channing's Mark Montevista The Venue on Guadalupe Chaparral Mosaic at Mueller The Village at Riverside Chardonnay Mountain Ranch The Villages at Turtle Rock Cherry Creek Crossing Museo The Woods at Manchaca Chevy Chase Nalle Woods The Woods on Barton Skyway Chevy Chase Downs Nichols Park The Zone (previous Longhorn Landing) Chez Moi North Village Timbercreek Chisholm Valley / Westwind Duplexes Northland at Stonehollow Tintara at Canyon Creek Churchill Crossing Northland at the Arboretum Tintara Lakes Circle S Northwest Hills Tollgate Creek City North at Sunrise Ranch Oak Bend Toscana City View at SOCO Oak Creek Towne Oaks Cityview Oak Ridge Trails at the Park Cliffs of Barton Creek On The Green Trails of Walnut Creek Club at Summer Valley Onion Creek Tramor at Autumn Park Club Creek Park at Summers Grove Tramor at the Arboretum Cole Apartments Park at Wells Branch Tramor at the Oaks Colonial Grand At Ashton Oaks Park Terrace at Town Lake Tramor Oak Run Colonial Grand at Canyon Creek Park West Condominiums Travis Station Colonial Grand at Canyon Ranch Parkside at Lake Creek Twelve Oaks Colonial Grand at Onion Creek Parkside Crossing University Crest Colonial Grand at Round Rock Parkwood Terrace University Estates Colonial Grand at Silverado Parmer Place University Village Colonial Grand at Silverado Reserve Paseo at Bee Cave Ventana Oaks Colonial Grand at Wells Branch Pebble Creek Venterra at Bradford Pointe Colonial Village at Quarry Oaks Pecan Grove Venterra at Water's Edge Colonial Village at Sierra Vista Penbrook Club Verandah at Grandview Hills Congress Square Place at West Village Verano Luxury Apartments Coppermill Platinum Lakeline Villa Orleans Coppertree Platinum Southside Village at Gracy Farms Cottages on Wells Branch Polaris on the Park Village Oaks Country Club Creek Post Barton Creek Villages at Lamar Creek Village / The Quest Post Park Mesa Villages at the Domain Creekside Trace Post West Austin Villages of Bella Vista Creekwood Village Preserve at Rolling Oaks Villages of Sage Creek Cricket Hollow Indigo 95 Twenty Preserve at Travis Creek Villas De La Luz Crystal Creek Promontory Point Park at Lakeline Lakeline East Allure The Allure Muir Lake Villas Del Sol Cypress Creek at Riverbend Quail Run Villas of Bristol Heights Cypress Gardens Ranchstone Garden Homes Villas of La Costa Dakota Springs Red Hills Villas Villas of Quail Creek Deerfield Red Stone Ranch Villas of Stone Oak Ranch Dolphin Regal Canyon Villas on Guadalupe Duval Villa Regency at Dell Ranch Vineyard Hills Edge Creek Regency Park Walnut Creek Crossing Elan Remington Hills Waters at Bluff Springs Elevation Austin Remington House Waters Edge Enclave at La Frontera Renaissance at North Bend Waters Park Englebrook Reserve at Walnut Creek Waterstone English Aire Residences at the Domain West Camps and Central Estancia Retreat at Barton Creek Westchester Woods Estate on Quarry Lake Riata Westdale Creek Fairway Knoll at Teravista Ribelin Ranch Westdale Park Falcon Ridge Ridgeview Westdale Pointe Falconhead whitley Rio West burnet flats amli southside eleven lakeline east lakeline west indigo 95twenty 95 twenty the Park at the domain Riverview Monterra Broadstone Cordavalle Sabina Sabine on 5th Westwind Falls on Bull Creek River Horse Ranch Whisper Hollow River Oaks Wickersham Green Forest Creek Village Riverlodge Wildcreek Fountainhead Riverside Meadows Wildwood Fox Hill Apartment Homes Riverside Place Willow Brook Foxfire Riverside Square Willowbrook North Townhomes French Quarter Riverstone Ranch Wind River Crossing Gables 5th Street Commons Riverton at Davis Springs Windsor at Barton Creek Gables at Central Park Robertson Hill Windsor on the lake Gables at the Terrace Rocking Horse Ranch Windwood Gables Grandview Rockwood Woodchase Gables Lantana Ridge Rosemont at Heather Bend Woodgate Gables of Round Rock Rosemont at Hidden Creek Woodhollow Gables Park Plaza Rosemont at Oak Valley Woodland Heights Gables Pressler Rosemont at Williamson Creek Woodmark Gables West Avenue Saddle Creek Woodmeade Garden Park Salado at Walnut Creek Woodmoor Gateways Salem Walk Woodstone Grand Reserve at Sunset Valley San Marin Woodway Square Great Hills San Paloma Woodway Village Greystar Red River Flats Saratoga Ridge Wyndhaven at Wells Branch Hancock Square Scofield Park at Austin We can help you find apartments for rent in Austin TX. We specialize in finding apartments for rent in the following areas in Austin Texas: Northwest Austin, North Austin, Northeast Austin, Downtown Austin, north Austin, Arboretum, The Domain, North central Austin, and central Austin. 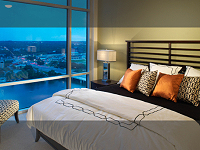 We also find apartments for rent in Cedar Park, Pflugerville and Round Rock areas. We can also look up apartments by zip codes: 78701, 78702, 78704, 78703, 78705, 78723, 78726, 78727, 78728, 78729, 78750, 78751, 78752, 78753, 78754, 78756, 78757, 78758, 78759, 78613, 78660, 78664, 78665 and 78663. We can also look up apartments that are located close to your job. We have apartments near Dell. We have apartments near Samsung, We have apartments near Seton hospital, We have apartments near Dell children's hospital, We have apartments near Charles Schwab, We have apartments near Flextronics, We have apartments near National Instruments, We have apartments near Google, We have apartments near Qualcomm, We have apartments near Motive, We have apartments near Scott & White Healthcare, We have apartments near PayPal, We have apartments near Ebay, We have apartments near EA Sports, We have apartments near Blizzard Entertainment, We have apartments near Apple Inc, We have apartments near Oracle, We have apartments near Facebook, We have apartments near Hewlett-Packard, We have apartments near HP, We have apartments near 3M, We have apartments near IBM, We have apartments near AMD, We have apartments near Freescale Semiconductor, We have apartments near GM, We have apartments near General Motors, We have apartments near Whole Foods, We have apartments near Austin Regional Clinic others and others employers. 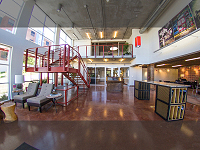 We can help you find an apartment near your employment in Austin TX, Cedar Park, Pflugerville and Round Rock. 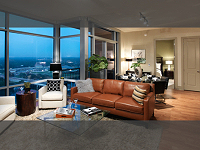 We can also help you find apartments sorted by neighborhoods in Austin TX, Cedar Park, Pflugerville and Round Rock. 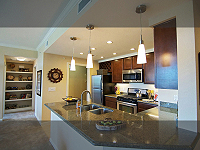 Neighborhoods we specialize in many neighborhoods in Austin TX, Round Rock, Cedar Park, Pflugerville. 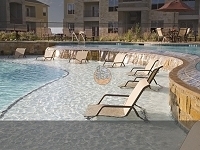 We have apartments near Metric Blvd., We have apartments near The Domain, We have apartments near Avery Ranch, We have apartments near Brushy Creek, We have apartments near Jollyville, We have apartments near Anderson Mill, We have apartments in Arboretum, We have apartments near Lakecreek, We have apartments near Lakeline, We have apartments near Pecan Park, We have apartments near Westwood high school, We have apartments near McNeil High School, We have apartments near Cedar Park High School, We have apartments in Round Rock ISD, We have apartments near Leander ISD, We have apartments near The Domain neighborhoods, We have apartments near Great Oaks subdivision neighborhood, We have apartments near Teravista subdivision. 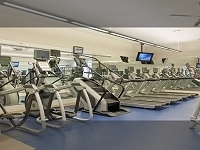 'we also have apartments with different features and amenities. 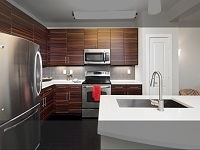 We have apartments in Austin TX with stainless steel appliances, black-on-black appliances, wood floors, concrete flooring, granite countertops, tile floors, elevators, garage parking, attached garage, detached garages, washer & dryer included or washer & dryer connections. We have apartments in Cedar Park TX with stainless steel appliances, black-on-black appliances, wood floors, concrete flooring, granite countertops, tile floors, elevators, garage parking, attached garage, detached garages, washer & dryer included or washer & dryer connections. 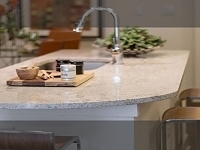 We have apartments in Round Rock TX with stainless steel appliances, black-on-black appliances, wood floors, concrete flooring, granite countertops, tile floors, elevators, garage parking, attached garage, detached garages, washer & dryer included or washer & dryer connections. We have apartments in Pflugerville TX with stainless steel appliances, black-on-black appliances, wood floors, concrete flooring, granite countertops, tile floors, elevators, garage parking, attached garage, detached garages, washer & dryer included or washer & dryer connections. We can also look for apartments that offer split floor plans, roommate floor plans, mother-in-law floor plans, open kithen, open layout. 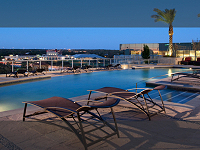 OUR SERVICE: We offer FREE apartment locating service in Austin Texas. Areas we mainly locate: Austin - north, northwest, northeast, west, downtown, central, north central, Round Rock, Pflugerville and cedar Park area. Neighborhoods we specialize in 78729, 78759, 78703, 78753, 78704, 78757, 78758, 78727, 78717, 78726, 78728 78701, 78702, 78723, 78741 and others. Northwest Austin, West, Downtown, 620, North Austin, farwest, far west, Arboretum and the surrounding areas. Metric, Brushy Creek, Great Oaks, Lakecreek, Lakeline, Avery Ranch, Jollyville, Anderson Mill, Arboretum, Round Rock School District for example Westwood and McNeil High School, Leander/ Cedar School District and any other Austin ISD We specialize in finding apartment specials in Austin TX! We will always get you the best deals! 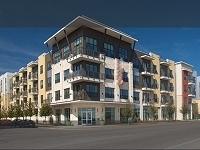 We can help you find nice luxurious apartments in Austin that will accept bad credit, low credit, poor credit, no credit, no income, foreclosure, bankruptcy and/or first-time renters (no rental history)! 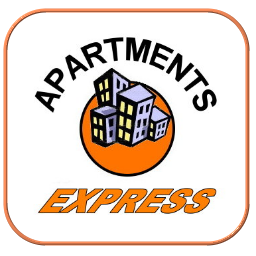 If you are looking for an apartment in Austin and have bad credit, no credit, low credit, no rental history, foreclosure and/ or bankruptcy, we are here for you! Many of our clients have less than perfect credit, and we have been able to locate them apartments that accept issues such as bad credit, no credit, low credit, no rental history, bankruptcy and/ or foreclosure. Our database can also look up apartments by zip code such as: 78660, 78664, 78701, 78702, 78703, 78704, 78705, 78709, 78717, 78723, 78726, 78727, 78728, 78729, 78750, 78751, 78752, 78753, 78754, 78756, 78757, 78758, 78759. 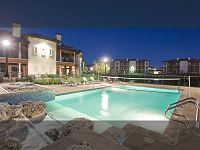 AREAS WE SERVICE: We can find you apartment specials in Austin (North, Northwest, Arboretum, Northeast, central, North central, downtown), Round Rock, Pflugerville, Cedar Park, South Lamar, South Congress, 6th street, 5th street, South 1st Street, the Domain, Round Rock Outlet Mall, Guadalupe, University Texas (UT). 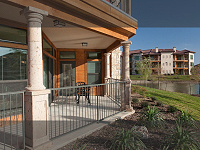 We can find you luxury apartments close to METRO bus stop and UT shuttle, Austin Community College, ACC, Texas State university, Barton Springs, Barton Creek, Zilker Park, hiking and biking and jogging trails, Lady Bird Lake and Lake Travis. 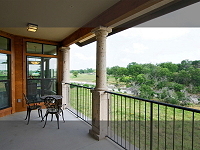 We can also locate luxrious apartments near 183/ MoPac/ Loop 1/ I-35/ W. Parmer ln./ Tech Ridge area. 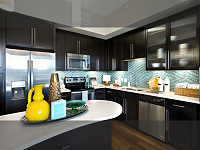 We can find you luxury apartments in Austin that offer stainless steel appliances, or black appliances. 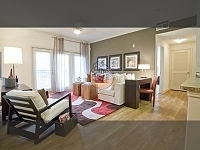 We can find you luxurious apartments that have wood floors, wood flooring, washer and dryer connections, washer and dryer included, cable tv and internet included. 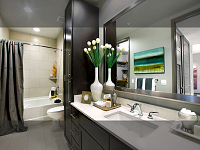 We can find luxury apartments that feature dark cabinets, cheery wood cabinetry, granite countertops and granite counter tops. 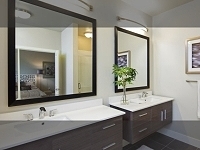 We can also locate luxury apartments that are brand new, nearly new, new, modern and stylish. 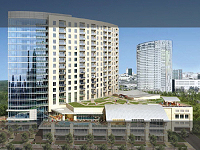 We can locate you luxury apartments in all Austin areas (north, northwest, Arboretum, northeast, downtown, central, north central), Round Rock, Pflugerville and cedar Park area) that have been working with people who have bad credit, terrible credit, no credit, low credit, no rental history, bankruptcy and/ or foreclosure! 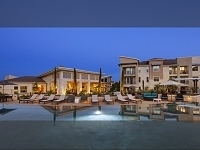 We can search for luxury apartments close to many major employers such as National Instruments, Samsung, Dell, Freescale, Google Inc., Facebook Inc., Whole Foods, AMD, Seton Medical Center Hospital, Dell Children Hospital, Austin Regional Clinic, Blizzard Entertainment, 3M, HP, Hewlett-Packard, IBM, AMD, Apple, Oracle, Charles Schwab, Flextronics, Ebay, GM, General Motors and many others. Whether renting a house or renting an apartment is for you depends on your lifestyle and your needs. Renting a house virtually eliminates having to worry about dealing with neighbors living above or below you. With apartments, this is pretty much an assured reality. 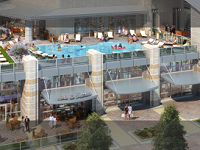 If having amenities is your thing -unless you rent a house in a master-planned neighborhood. (with a swimming pool, playground, basketball court, tennis court, etc.) 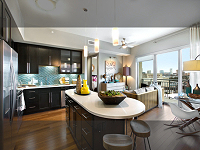 - apartment living is easily the better option. 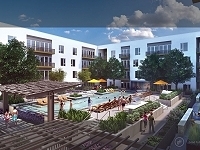 No master-planned neighborhoods offer a 24-hour workout facility (yet), whereas nearly all of the apartments in Austin and the surrounding areas will have a fitness center. Some apartments even offer Jacuzzi, sauna, steam rooms, free fitness classes such as spinning, yoga, kick boxing classes, tanning booth and some even an indoor swimming pool! The savings can equal over $100 per month. Maintenance is a major factor when deciding between renting a house vs. an apartment. Unless a property is severely mismanaged, virtually all apartment maintenance is done no-questions asked; whereas, getting maintenance issues solved at rental houses can be a real headache. When renting a house, you are effectively paying the owner's mortgage AND you are responsible to care for the house as if it were your own. But it is not. There is no vested ownership in the house and in the end you pay extra for maintenance and upkeep. Sound like a good deal? Prior to working as an apartment locator, I worked as a repair coordinator for a property management company that manages rental houses for private owners. Whenever you see a house for rent with a property management company/ real estate company sign in the yard, you are looking at a private owner. That private owner rents out their house using a real estate company to represent them. In many cases, they also use them as the middle man to take care of maintenance issues. "how often did you change your air filter” -contracts will state that if you didn't adhere to the terms, which demands for once a month, the owner will refuse to cover 100% of the repair since it is not a normal ‘wear and tear’. "What did you put in the garbage disposal?" Again, terms and conditions not covered under natural ‘wear and tear’ will be refused by owner. Should you be in the market for rental houses, make sure to read your lease contract thoroughly. A lot of owners have extra provisions stating that they are not held reliable for refrigerator and dishwasher repair! TRUE STORY: With my former rental management company - there was a case of where the dishwasher at a rental home broke down. Tenants had to wait for weeks for the repair to come through. The owner was reluctant to repair and was low on cash. Since he was not legally obligated to repair it, he simply told the tenants (through me) that they could also wash dishes with hands. Granted, there are certainly good home owners who take a good care of their tenants but how would you know? Unlike apartments, where you can read reviews online (even though those are not necessarily reliable)- with private owners, you have to take chances. 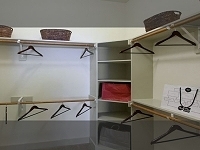 Do you need more space for your family and your dogs? Then a house with a yard is probably your best option. Although, a lot of times, rental homes can cost more than rental apartments. To put your kids in a certain school boundary might only leave you rental apartments due to your price range. If you are single, or if you have a significant other, a house might not always be the best choice. Do you use all the space that you are paying for rent and utility? Do you have a lot of time to take care of your front lawn/ yard so the HOA won't bother you? Another thing to consider: if the grass in the yard dies, you will be more than likely hold responsible for the replacement of the sod. TRUE STORY: At my property management job, a tenant of a rental home was held reliable for the cost of sod replacement upon move-out. He claimed that the grass had already been dead when he and his family moved in. Unfortunately for him, he didn't have any pictures to prove. In most cases, apartments will ask people with credit issues to put down an extra deposit equal to one month rent. Though, there are apartments that only require $250 refundable deposit + $131.25 non-refundable deposit with no standard deposit upon applying. Rental houses on the other hand, you will usually pay a standard deposit equal to one month rent. And depending on your credit situation, owners could ask for additional deposit from anywhere between one-two month’s rent. If your rent is $1300 for a 3bd/2ba house, you could owe $2600 in just move-in costs + rent/ prorated rent is excluded! TRUE STORY: I had a client who was approved for a rental house, but due to her recent foreclosure and low credit, the owner asked her to pay $5,000 upfront (standard deposit + extra deposit + rent)! I found her a very nice apartment that only cost $131.25 + $250 + prorated rent move-in costs! Significant difference, as you see! Although the deposit is refundable, given the circumstances in her case, giving $5000 to a stranger to 'hold' should be thought about twice. Tragically, many people are losing their homes in this economy. Many of, if not all, of these owners will try what they can to keep it: Short selling it before having to give it back to the bank; or renting it out so renters who are able to afford the rent, can pay for their mortgage or part of their mortgage (due to competitive market, some owners cannot rent the property for the same amount of their mortgage). TRUE STORY: I had several clients who were renting a house whose owner had gone into foreclosure without notifying them. The new owner showed up and told them to move out. They bought the house for themselves or for their kids to live in and were, therefore, not interested in it as being an investment property. Fortunately, they were nice enough to give them a few weeks to move. Unlike private owners, even when apartment management companies change hands, they will honor the lease contract and will keep their tenants in place until the end of their lease term. So you have more stability here. Again, to rent a house or to rent an apartment is completely subjective. Whether a house or an apartment is for you depends on your lifestyle and your needs. Rental houses with a nice size yard are ideal if you have a big dog or kids. My professional opinion on rental houses vs. rental apartments is solely based on my experience and encounter with situations from my past clients. I think it is always helpful to know of different angles before committing into something and regret it later: "I wish someone would have told me this!". © URBANHUT.NET All Rights Reserved. 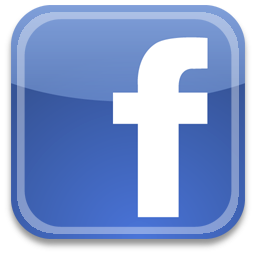 All apartment information contained within this website is subject to change and should be verified independently.